I have a confession to make. I adore European cakes. I love their spongy texture, I love that they’re usually soaked with some delicious syrup or filling, and most of all, I love that they’re just sweet enough without going over the top. 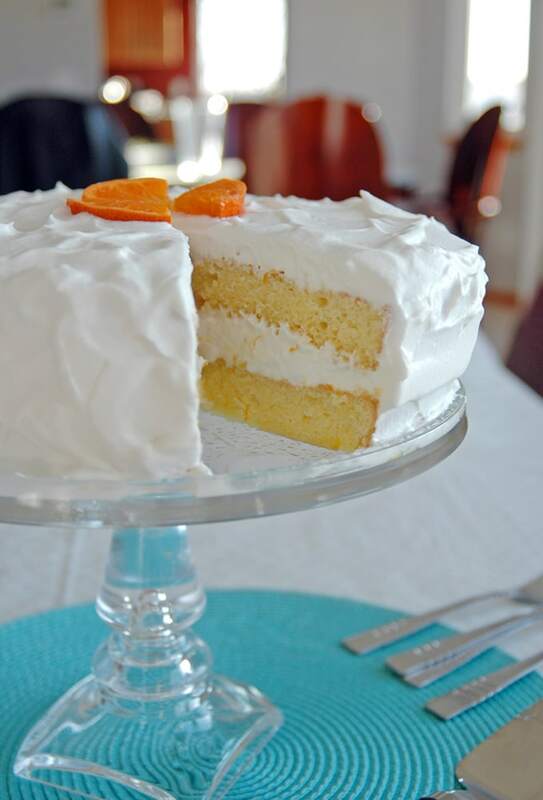 This Swedish recipe for orange torte with whipped cream has been in my family since the 1960s, and I have to share it with you. It’s a light, refreshing classic you’ll want to enjoy at least once or twice a year. This torte starts with two layers of citrus sponge cake. 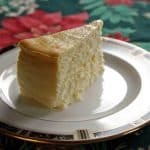 The “torte” distinction comes from the facts that only a cup of flour is used, and there’s no leavening agent like baking soda or baking powder. Instead, the cake gets its fluffiness from air that gets incorporated into the batter as you beat…and beat…the egg yolk-and-orange mixture for 10 minutes. Then you’ll beat egg whites and sugar into soft peaks and fold everything together before baking. Then comes my favorite part — the filling. 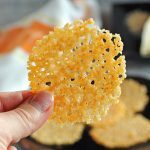 It’s like a delicate citrus cloud, thanks to more beaten egg whites that get folded with a blend of fresh orange juice, sugar and orange zest. Yum!!! This divine fluffiness gets spread atop each cake layer so that it will be absorbed (ideally overnight). Then, fresh, vanilla whipped cream gets added to the center and applied to the sides and top of the stacked cake layers. Perfection, I tell you. If you love oranges, orange juice, or anything citrus, you need to try this orange torte with whipped cream. It’s special enough for holidays like Easter, or for birthdays and company. It’s not a quick recipe, but good things come to those who wait (or those who ask someone else to make it). 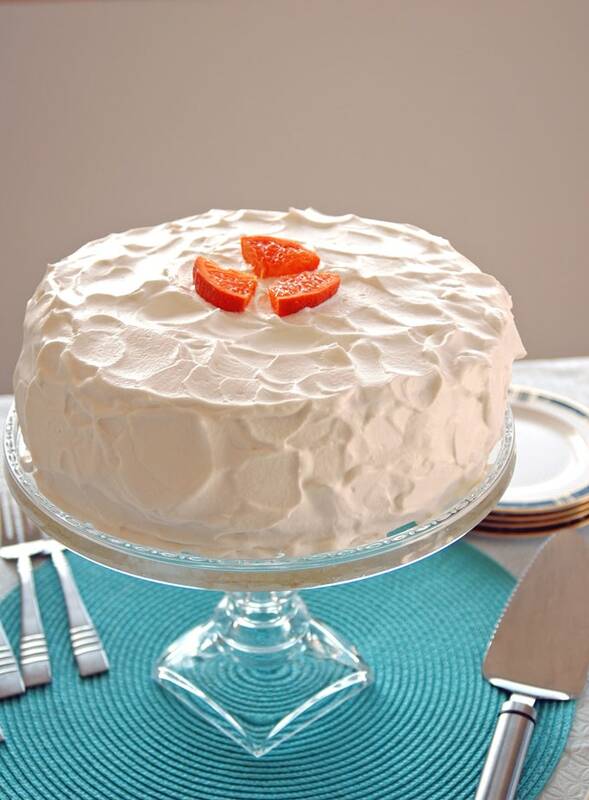 Light, airy and refreshing, this Orange Torte with Whipped Cream will become a favorite. It's best to start the cake a day ahead, since you will need to let the filling absorb for at least 10 hours. Separate 5 eggs, adding the yolks to a large bowl (use a stand mixer bowl if you have one) and adding the whites to a large stainless mixing bowl. (To prevent any goofs, it helps to first use two small bowls, adding one egg white at a time to one, and one yolk at a time to the other, then pouring those into your larger bowls as you go. If you get any yolk in your egg white, you can start over with another egg.) Wash your hands after touching raw eggs. Preheat the oven to 325 degrees F. Grease and flour two, 9-inch, round cake pans. Gently spread your egg yolk mixture over your beaten egg whites, and gently fold them together, (use an under-and-over motion with your spatula.) Sift your flour into a small bowl (if you have a fine mesh strainer, you can use that to sift). Gradually add the sifted flour to the batter (add 1/4 cup of flour at a time), gently folding in the flour as you go. Transfer your cake batter to the two cake pans, distributing it evenly and smoothing the tops with your spatula. Bake for 20-25 minutes on the center rack (they both should fit diagonally), or until a cake tester or toothpick inserted in the center comes out clean. Cool the cake layers by standing them up on a clean towel and letting them lean on a wire rack against your counter's back splash wall. Turn the pans counter-clockwise occasionally, as the cakes pull away from the edges of the pans. While the cake layers are cooling, make your filling. Squeeze 3/4 cup of orange juice and whisk it with 1/2 cup granulated sugar and the 1 tablespoon of orange zest. Set that aside. Separate two eggs, placing the egg whites in a clean and dry medium, stainless bowl. 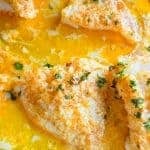 (You won't need the two egg yolks but can refrigerate them for another use.) Using clean beaters, beat the egg whites until frothy, then gradually add in 1/4 cup granulated sugar, beating well after each addition. Beat the egg whites until stiff peaks (not dry) are formed. (It will take several minutes. The peaks will remain standing when the beater is slowly lifted out of the meringue.) Add the orange juice mixture to the meringue and gently fold it in until you no longer see any liquid. When the cake layers have cooled, loosen them from the pans (run a knife around the edges of the pans if you need to). 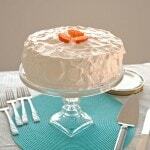 Place a dinner plate over each cake layer and invert one cake layer onto each plate. Carefully turn over each cake layer until the rounded side is up. 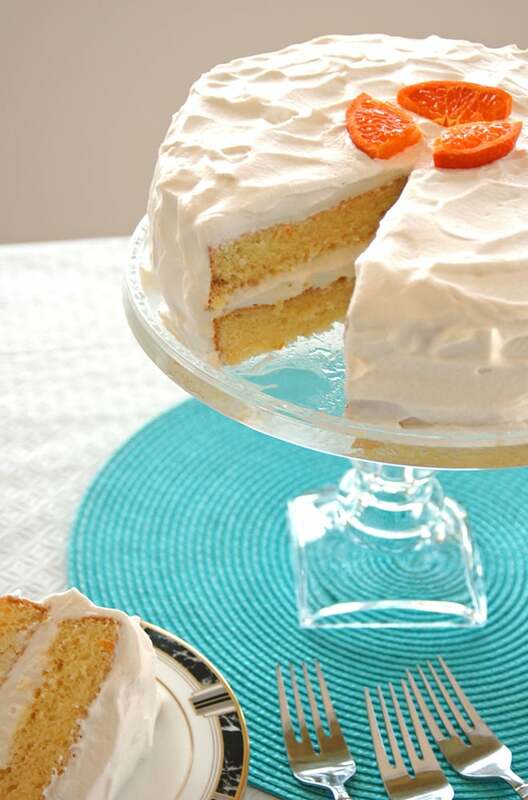 Gently spread the orange meringue filling over the surface of each cake layer, starting in the center and being careful not to let the filling run over the sides. Try to use an equal amount of filling on each layer. Wash and dry your cake pans and use them to cover each plate. Place the covered cake layers in the refrigerator overnight or for at least 10 hours. The next day (or after 10 hours), the filling should mostly be absorbed into the cake layers. Make your whipped cream an hour before serving the cake. In a large, stainless mixing bowl and using clean beaters, beat your cream, confectioners sugar and vanilla. Beat until the mixture forms the consistency of whipped cream. To assemble the cake, place one cake layer on your serving dish, with the filling side on top. Gently spread whipped cream over the cake's surface. Place the other cake layer on top, keeping the filling side up. Frost the top and sides of the cake, making swirls if you wish. Decorate with orange slices, if desired. This cake is best started the day before. Once you make the cake layers and spread on the filling, you will need to let the cake layers absorb the filling overnight, or at least 10 hours. Make the whipped cream and assemble the cake an hour before serving it. The filling uses raw, beaten egg whites. For food safety reasons, you may wish to use pasteurized eggs.They will require beating with some cream of tartar in order to whip properly. Recipe Source: Barely adapted from a recipe given to my mother in the 1960s. Just came across your site, googling crustless cheesecake. 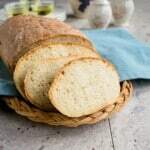 What are your thoughts on making this cake with a gluten free all purpose flour? Since it is only 1 cup, I’m thinking it may come out nice! Liz, I’m so glad you found my site too! I wish I knew how to advise you on using gluten-free flour here. I’ve never used gluten-free flour, so I have no idea how it would turn out here. I’d love to hear back if you try it! I’ll let you know. I will definitely make this. I printed it off. It may be after new year though. Oh my Andrea, this is calling my name! Citrus really ought to be my middle name (wonder if that’s why months ago I started one of the other web sites devoted to cooking with Citrus? Or was it because I have citrus growing on our land? ), but wait… I do make something similar but wait…I really love this recipe…but wait… I’ll just have to make this!!! Have a good weekend and I hope the sun will shine in Ohio this weekend for you!!! 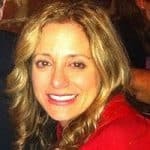 Your Florida Bud, Cheryl “Citrus” Wiser! I’ll be right over for my slice! hahaha I’m with you, I love European desserts. The are always just right as far as sweetness goes. This cake looks AMAZING! I can’t wait to try it out. Thanks, Tammy. I hope you enjoy it! It’s very special. 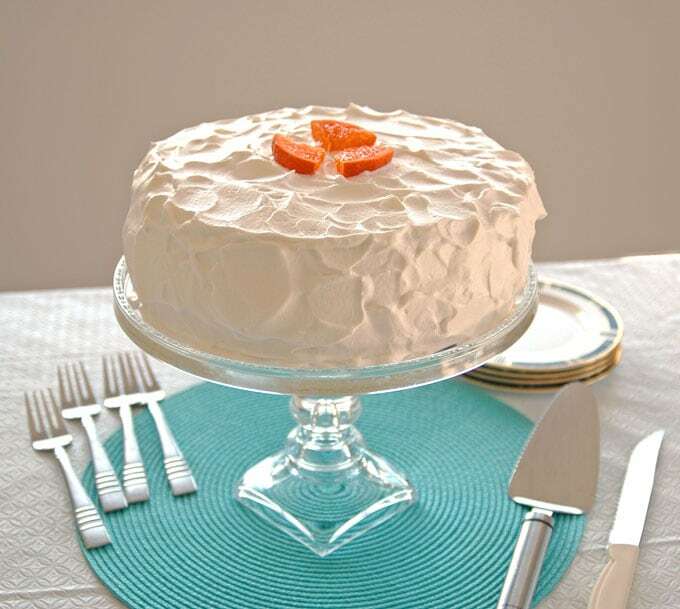 Mmmm, the words, “delicate citrus cloud”, have me wishing for this torte, right now. Such a beautiful dessert…clearly made with love. I want to know more about your mom’s Italian Club! I love the thought of that! Thanks for sharing your special family recipe, Andrea…that’s the best! This cake definitely requires love! I guess the club was for Italian women who had moved to America. They got together a few times a month in each other’s homes and sometimes went out. Kind of like a book club without the books… My mom says it was lots of fun.